One of the most social and entertaining games found in land-based casinos these days is craps. It’s the game where there’s a crowd of people gathered around a casino table, eagerly cheering on a player to win. Whenever someone does win, the table erupts with applause. The online version may lack the social aspect, but it’s still just as compelling and enjoyable. Though this ever-popular dice game is a game of chance, it has some of the best odds of all casino games. If you’re going to get these odds, you have to know the game inside-out. You’ll also need to have a pretty good online craps strategy. 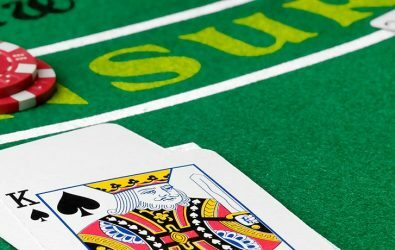 So here are some basic online craps strategies you can start with. One of the best ways to approach craps is to be aware of what the odds are for all the different bets you can place during the game. It’s quite a simple strategy, but it can be effective one as you’re essentially giving yourself the best odds throughout the game. The bets with the best odds are pass line, don’t pass line, come and don’t come bets, all of which have a house edge of approximately 1.40%. House edge refers to the average percentage of your money you’ll lose playing over a long period of time; the higher the house edge, the more money, on average, you stand to lose. The worst bet you can place in craps is any seven, where you win if the shooter rolls a seven; this bet has a pretty high house edge of about 16.70%. There’s one bet you can place in a game of craps that doesn’t have a house edge at all. In other words, the casino makes no money at all from the outcome of this bet. It’s called the free odds bet and the reason casinos allow people to make this bet is because so few people actually do make it, so doesn’t actually cause much harm at all casinos’ profits. You can make the free odds bet once the shooter has established the point, so long as you’ve already made a pass/don’t pass, come/don’t come bet. You can bet a multiple of your original bet (usually two or three times your initial bet). If the shooter rolls the point again before rolling a seven, you’ve won. When playing craps, it’s handy to be aware of dice combinations and how many different ways you can make the numbers two-twelve. For the number two, there’s only one way you can make it, and that’s by rolling two ones. For the numbers six and eight, there are five ways of making each of them. Only the number seven can be made by more possible combinations – a total of six. What this means is that the shooter is much more likely to roll a six or eight than a two, for example. Should you bet on the shooter rolling a two? No, because there’s a higher chance of a six or eight being rolled, so bet on one of those numbers. Also, you should avoid betting on the Big 6 and Big 8. They may sound tempting, but they have a much higher house edge of around 9.09%. This is compared to just 1.52% for betting on a standard six or eight. This gambling strategy originated in France in the 18th century and players have used it for all sorts of casino games, though mainly for roulette and craps. The best time to use this strategy is when you’re placing an even money bet, i.e. a fifty-fifty bet. In craps, the only bets you should use the Martingale system for include pass line, don’t pass line, come bets and don’t come bets. The way it works is as follows: start off by placing the minimum amount on a single even money bet. Every time you win, make the exact same bet again. If you lose, double your bet. If you lose for the second time in a row, you have to double your bet yet again. The idea behind this strategy is that by doubling your bets, you’ll end up recouping the money you’ve lost. However, there are two key problems with this. The first is the table maximum, i.e. the upper limit on how much you can bet. The second is your own bankroll (chances are, you don’t have a never-ending supply of money and doubling your bets can soon add up to a lot of money). If you’re unlucky enough that you have several losses in a row, you might find you’ve run out of money or you can’t make your bets any higher. The general idea behind the Martingale system is that if you lose one bet, you double the next one and if you win that one, you’ll recoup your losses. It’s good for short-term play, provided you have enough money and are lucky enough not to get too many losses in a row. Ultimately, craps is all about the outcome of a dice roll and there’s no trying to manipulate that. Many players regularly use these strategies to improve their chances of winning. Though if you don’t use a particular strategy, you still stand a perfectly good chance of winning. Of course, it goes without saying that the best strategy of all is simply knowing how to play the game, being able to make quick decisions and not making any mistakes along the way.